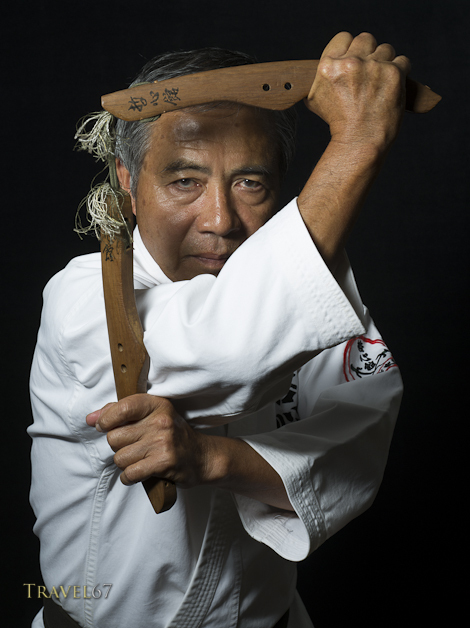 Hidemi Tamayose 9th Dan Ryukyu Kobudo Tesshinkan, the latest subject in the Karate Masters Portrait Project. 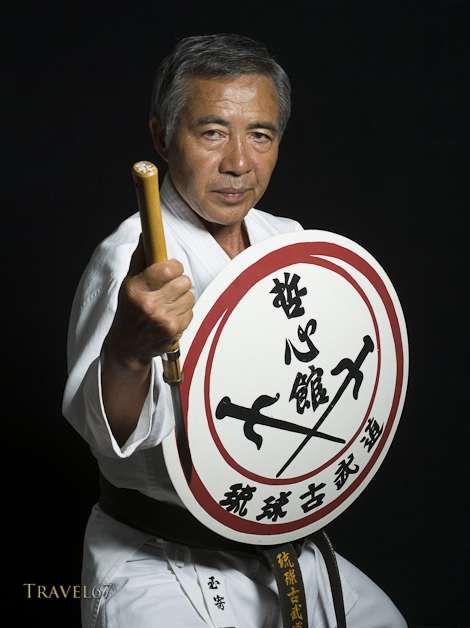 A lovely man, who has an encyclopedic knowledge of traditional Okinawan weaponry. 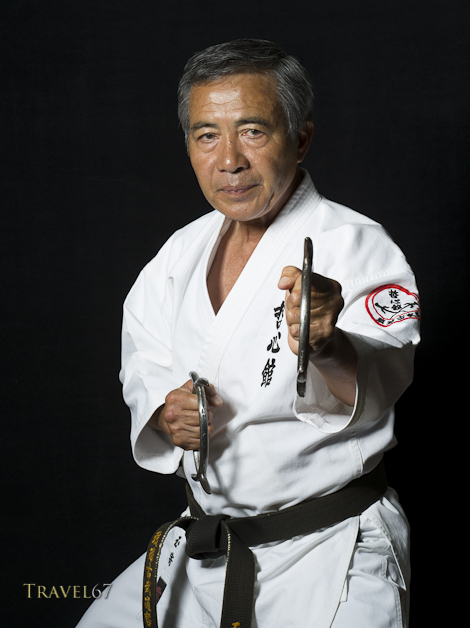 In the photograph above he is holding a horse bridle nunchaku. Tamayose Hidemi Sensei is my teacher and I feel you have captured him very well!